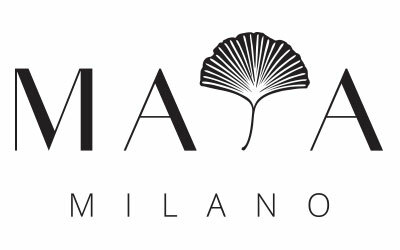 Delicate and feminine, this is how MAYA MILANO jewellery is described. Maja, of Serbian origins, after she passed 20 years of globetrotting life between New York, Lausanne, Warsaw and Milan, mixed with the best academic educational degrees in Business School Lausanne in Switzerland, Master degree at Bocconi, and additional specialised goldsmith courses in Scuola Ambrosiana Orafa Milanese, reached a unique and eclectique esthetical expression that she talks through her tiny precious objects of beauty. Her passion overall are colorfull precious stones, that she so easily sets into her small pieces of art. Her collection is all in Italian silver, gold or rosegold plated, designed and produced entirely in Milan and Vicenza. 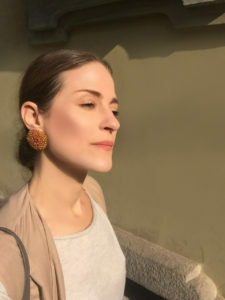 She is in continuous search of inspiration around the world, she visits frequently the most famous Hong Kong fair, Italian, Parisian and Istanbul fairs and markets. Her beautiful expressions of sophisticated beauty are sold in the noted centrally positioned shops in Milan and Belgrade.